Crafting an effective newsletter can really help you keep your subscribers engaged and interested about what you have to offer. It also helps you grow your relationship with them. 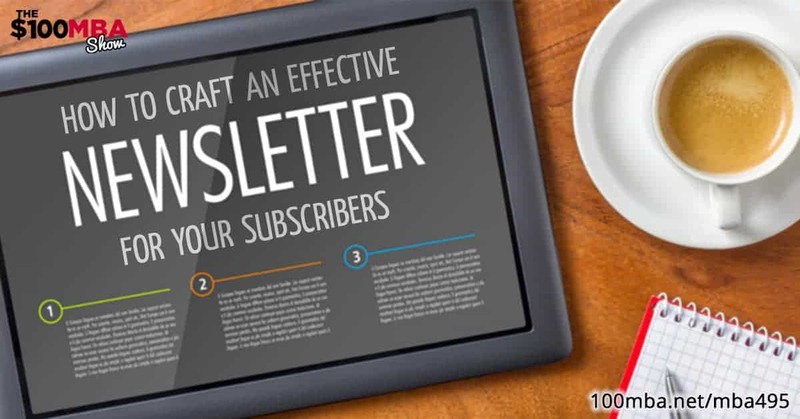 So how can you create a newsletter that’s super effective? How can you craft a newsletter that is of great value concisely and on a regular basis? Let’s listen to this episode to find out! Hit play! « Previous Post MBA494 How to Easily Sell a Small Information Product Next Post » MBA496 Properly Using Music in Your Marketing Plus Free Ride Friday!